Do you normally crave for Padang food when visiting a shopping mall? It's not common perhaps, because after all the efforts to go to a mall, why would one settle for something which they can find easily outside and most of the time, at much cheaper price. Makes sense. However, a Padang restaurant in the shopping mall actually means we can eat the hot & spicy padang food in the comfort of an air conditioned and clean environment. 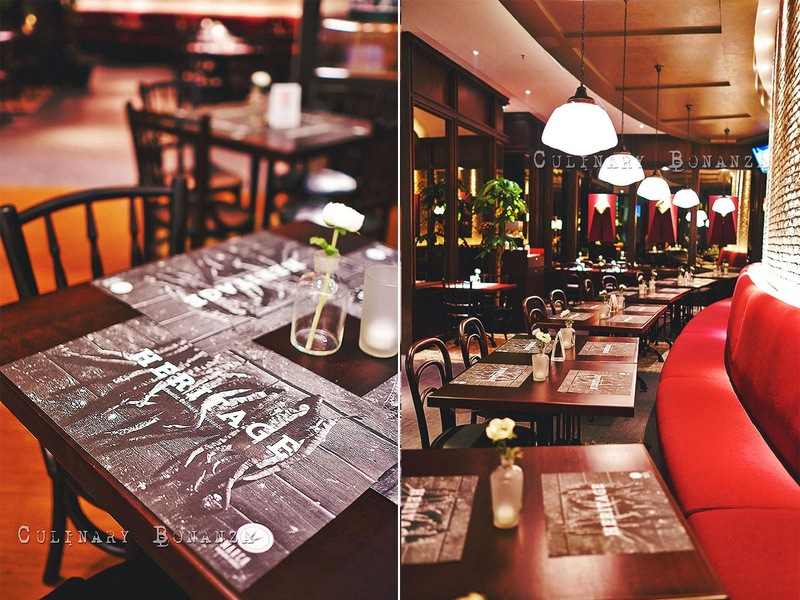 Padang restaurants in shopping malls such as Marco Padang Grill offers not only convenience, the level of food hygiene is also guaranteed. 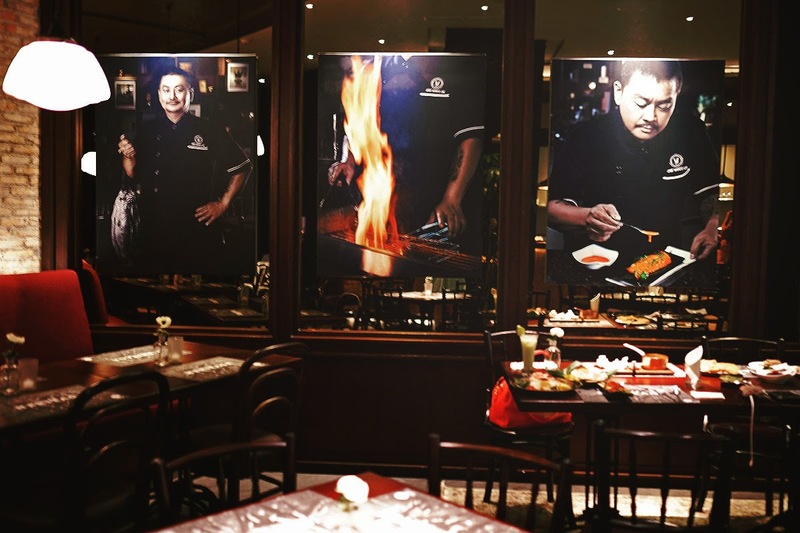 Marco Padang & Grill by Chef Marco Lim, is the culmination of ages old family recipe, passed down to the next generations. It actually started only casually, when Chef Marco would cook at the major family reunions. 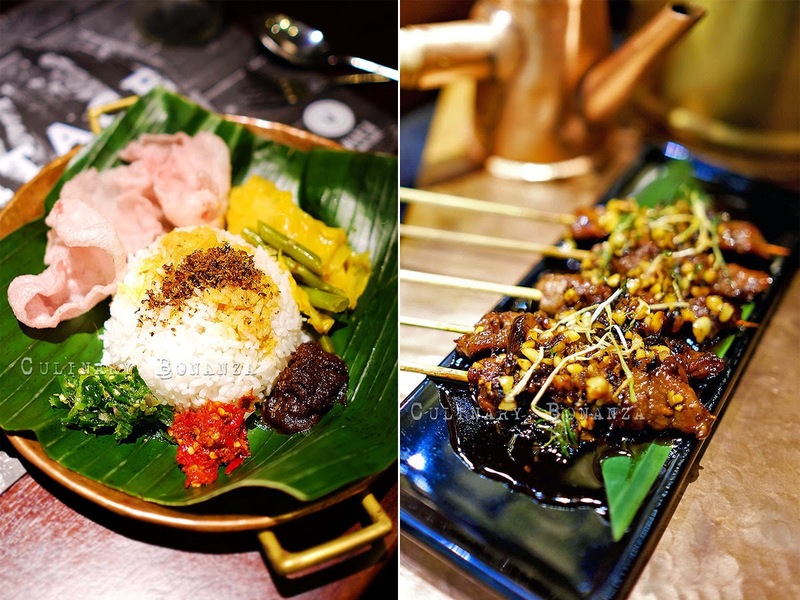 The opportunity exists and the market demand is there, so Marco Padang Grill came about, a few years ago actually, with its first outlet at Setiabudi One. SetiaOne is lesser known to the people, hence the name Marco Padang was unheard of unless to the people working in the area. Its first outlet at, which is surrounded by offices and buildings, must be a favourite of the staff in the area because the prices here is relatively affordable (some items are even ridiculously cheap! ), for a shopping mall standard. 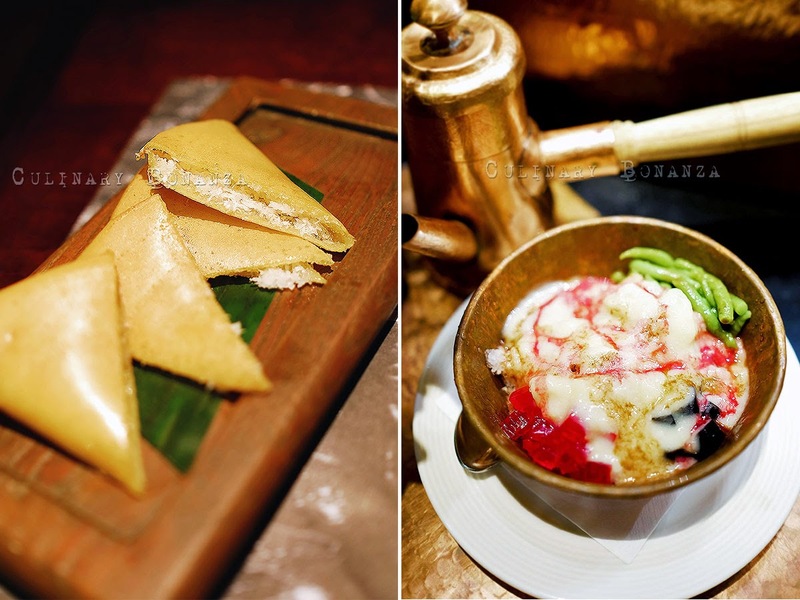 The orientation of Marco Padang is Peranakan Padang, with Chinese influence, meaning the dishes are not too hot and the spices used are milder. 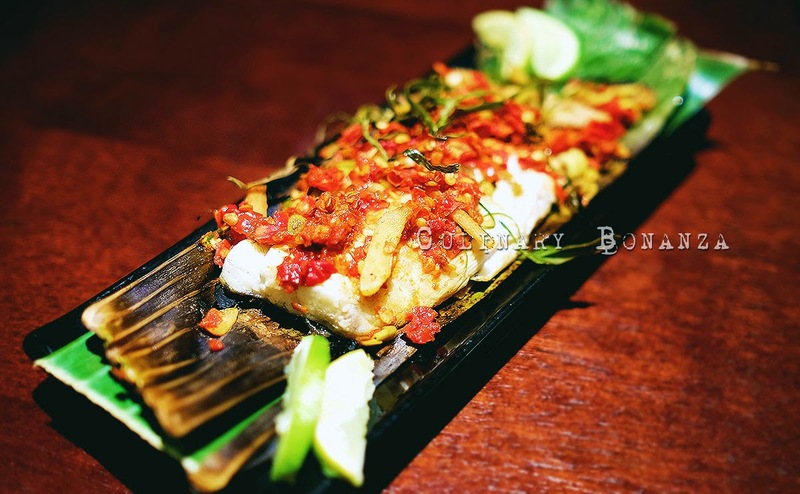 Chef Marco took to his attention in making sure the ingredients are flown directly from Padang, some even produced at home for the restaurant's use. But as much as could be managed, Chef Marco would like to make sure everything taste as authentic as they should be at home. After all, the tagline is: "Heritage, Tradition & Legacy". 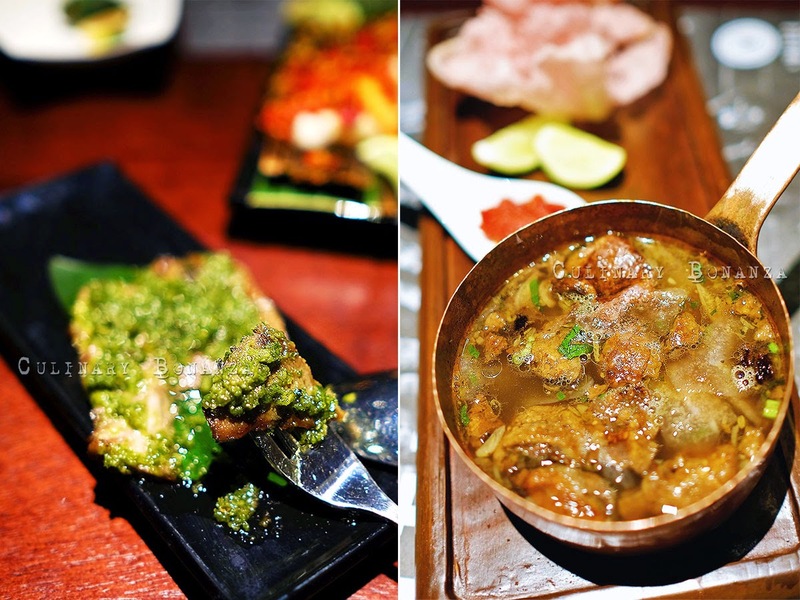 (Photo above) Randang Itam - a style of rendang from Bukittinggi area, stewed beef shank in coconut milk and mixed with herbs & green chili cooked for more than 9 hours. The blackened colour is the result of (purposely) over burnt / caramelized spices and meat. Spicy level: manageable. 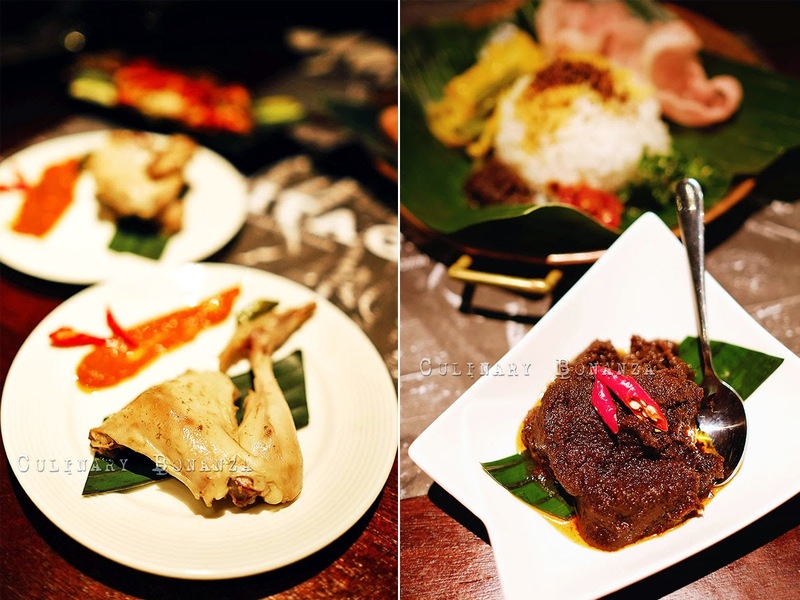 (Photo above) Ayam Pop - Padang style fried stewed free range chicken served with Padang tomato chili sauce. (Photo above) Ikan Krutuk - This is one of the signature dish at Marco Padang, delicious fresh barramundi with spices, cooked over low heat served with spices. The name 'krutuk' is derived from the sound it makes when cooking on the stove. Be careful of the bones, because it is served not de-boned. 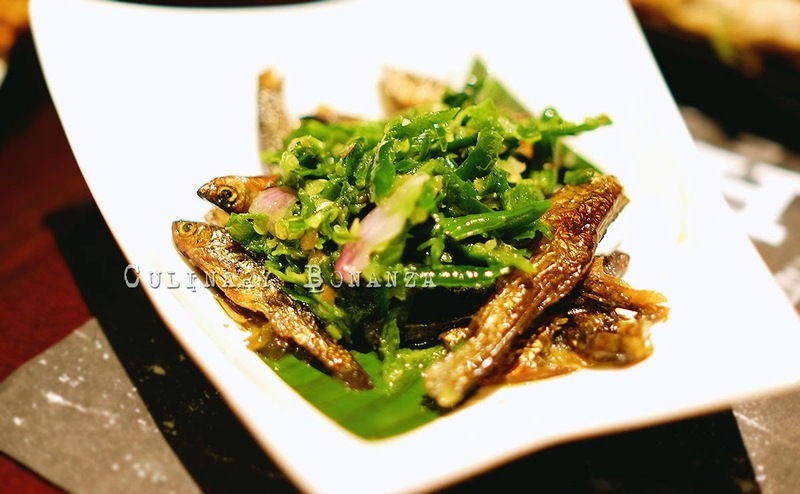 (Photo above) Telok Barendo - deep fried egg omelette infused with turmeric leaf & lime leaf. 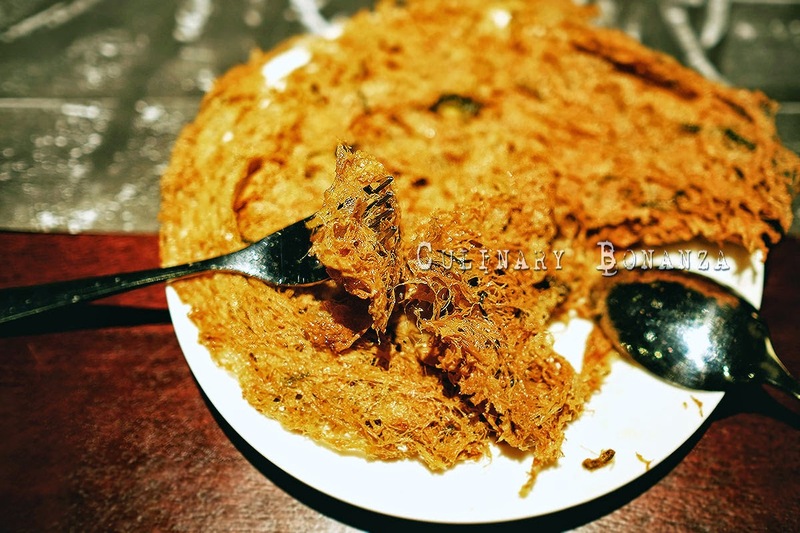 A very interesting dish, which I have never seen in any other Padang Restaurant, it taste like eating crispy papery fried egg, but it's the fragrant spices that make it addictive, must be eaten with rice, otherwise it'll feel too oily. (Photo above) Nasi Sayo - steamed Solok rice (the name of an area in Sumatera, where the rice is grown), drenched in curry gravy, served with vegetables, green chili and red chili samba. This item is a must-order, not only because it is the signature of Marco Padang, but also because it is ridiculously cheap! If your wallet is on a diet, this dish alone is enough to fill the tummy. (Photo above) Sate Daging - grilled beef on skewers with coconut milk and spices, grilled over charcoal and served with sliced green chilies and sweet sauce. 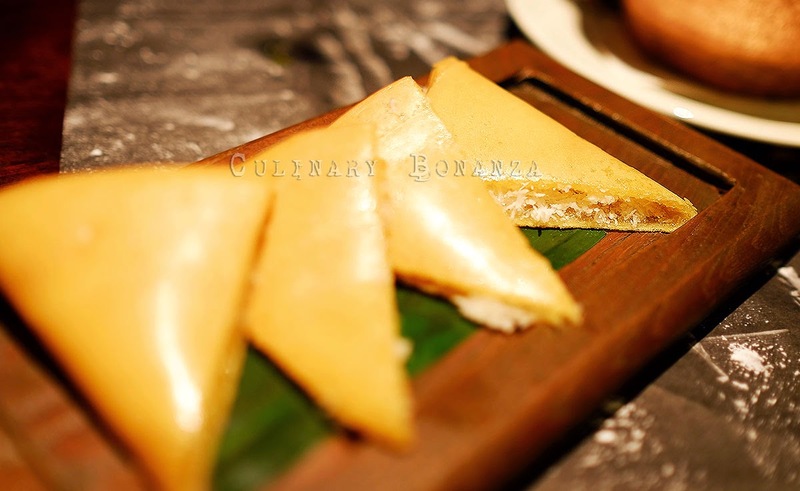 (Photo above) Es Durian - Iced durians with various toppings such as cendol, grass jelly, fruit jelly and brown sugar. 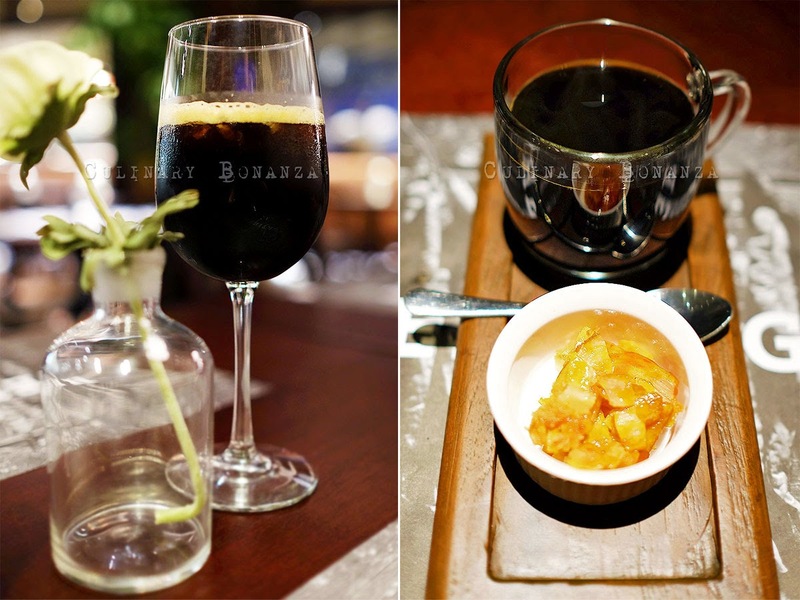 (Photo above) Kopi Es - double shots of Bukittinggi robusta coffee over ice served in wine glass. (Photo above) Kopi Pane - hot Bukittinggi robusta coffee. (Photo above) Teh Telok - Sumatra's authentic energy boost beverage, hot tea mixed with egg yolk, sugar, sweet condensed milk & chocolate powder, topped with sweet chocolate milk and served with lime wedges. 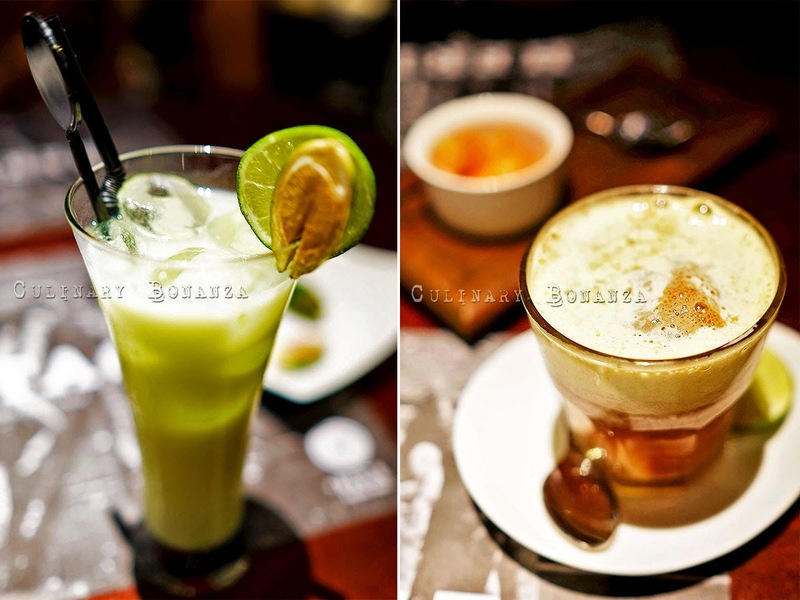 (Photo above) Jus Pinang Muda - Iced betel nut juice with condensed milk. But of course since this is inside a shopping mall, you will be charged government tax and service charge. But for what its worth (the value, taste & convenience), I will certainly take my friends / guests from overseas to dine here and to have them impressed by our rich Indonesian food culture.